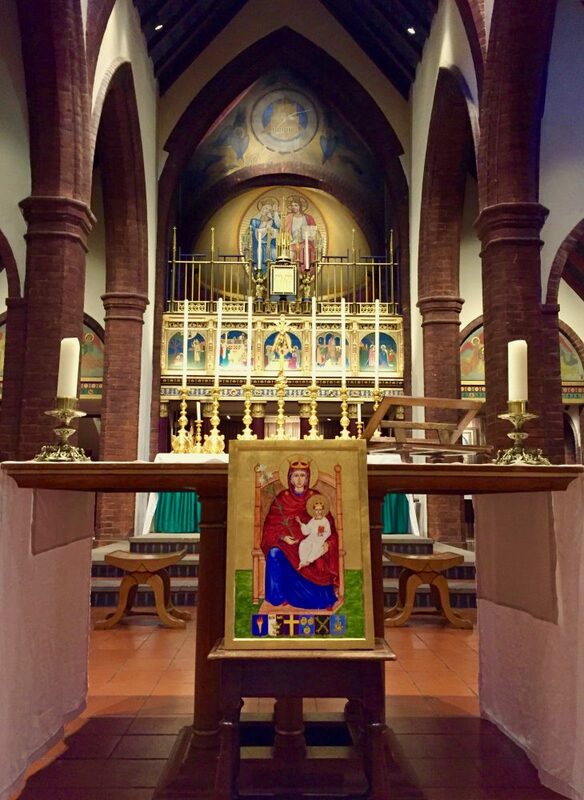 Twenty-Eight Pilgrims gather together in Walsingham! From Monday 11th September 2017 until Thursday 14th September 2017, a group of pilgrims from the parishes of Loftus, Skelton and Boosbeck were joined by members of Saint Michael’s Priory in Willen, Milton Keynes, for a joint pilgrimage to the Anglican Shrine of Our Lady of Walsingham in North Norfolk. In total a group of twenty-eight diverse pilgrims made up the pilgrimage group. Among the twenty-eight pilgrims were five priests, one nun, a priest of the Society of the Sacred Mission, a lay brother of the Society of the Sacred Mission, two novices of the Society of the Sacred Mission – all the way from Lesotho – and two pastoral assistants exploring their future vocation. Alongside members of the East Cleveland Walsingham Cell, old friendships were renewed and wonderful new friendships made.